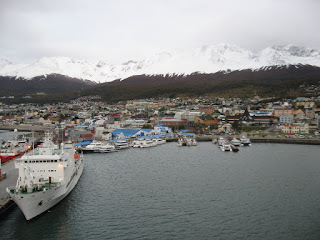 We departed Canada in early spring (according to the calendar) for Santiago, Chile. We left a harsh, 75 year record breaking winter behind us with the city of Calgary completely covered in a thick white blanket of snow - more typical of a day in mid December. We arrived in Santiago Chile with sore wings from flying -11.5 hours by air from Toronto. Chile's geographic shape is unusual — 4,300 km long and on average 175 km wide gives it a hugely varied climate, ranging from the northern Atacama (world's driest desert) with copper mineral wealth, through a Mediterranean climate in the centre, to a snow & alpine climate in the south and a labyrinth of fjords, inlets, canals, twisting peninsulas, islands, glaciers, and lakes. It is the youngest of the South American countries. Santiago is both the capital and largest city of Chile. About 20 years of uninterrupted economic growth has transformed Santiago into one of Latin America's most modern metropolitan areas, with extensive suburban development, dozens of shopping malls, and impressive high-rise architecture. There is little sign of economic slowdown here as the activity and noise of large high rise construction and cranes tower overhead everywhere. A major example is the Costanera Centre, a mega project in Santiago's Financial District. A 280,000 square-metre mall, with a 300-metre tower, twin office towers of 170 metres each, and a hotel. When completed in 2010 it will be the tallest building in South America. However, the developer has prudently indicated that scale will be reduced until financial uncertainty has passed. This strong growth, and economic stability, has many large multinational companies relocating to region: Coca Cola, Procter & Gamble, Nestle, Microsoft, HP and Rueters. 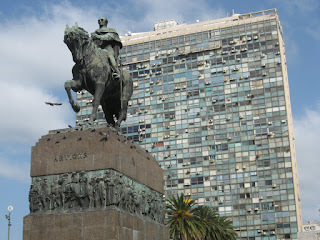 Santiago is probably the most " North American like" city that we have seen so far in our travels of South America. It's citizen's are striving towards a materialistic North American lifestyle seeking brand names & style and influenced by mass marketing. The huge divergence in societal class and income level, common in South America, has been homogenized here into a large middle class. There is a marked proliferation of automobiles with single occupants, and a drastic reduction in the number of buses and taxis. Large retail malls & North American outlets including Starbucks have a successful presence here. The costs of living, and prices of most items, are comparable to Canada (except liquor - a bottle of fine Chilean wine @ $ 3.00. Given the high volumes of commuter automobile traffic they have impressively managed to preserve many tree lined boulevards and pedestrian friendly sidewalks squares, fountains, and parks, and operate public transit very successfully with extensive subway lines, and modern slinky buses. We stopped for lunch in an outdoor shopping plaza with peaceful water fountains. It consisted of Pisco Sours (national drink of Chile) and a popular dish called crudo. When it arrived it looked like a large fresh hamburger patty destined to be bar-b-qued. Condiments of diced onions, mined parsley, hot peppers, lemon, olive oil, and mustard were added and to our surprise the raw meat was enjoyable. An afternoon stroll through a park where there was ponds, grassy fields, children's playgrounds and an acre of dog friendly area with toys and activities for the dogs similar to a giant " Super Dog " show in Vancouver. This was without question the nicest park designed for dogs we have ever seen! 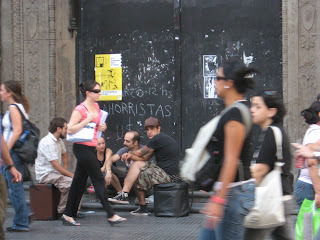 Subsequently we have seen " dog walkers" are a common commercial activity in the large metropolises. 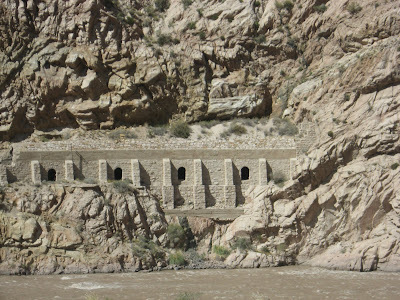 We traveled the Trans-Andean highway (350 kms) part of the an-American Highway between Santiago de Chile and Mendoza, Argentina by CATA International ejecutivo bus. A double decker coach with large leather reclining seats and several sleeping berths. This route is reported to be one of the world's great drives. 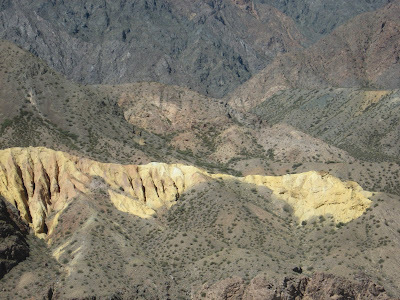 We can attest that the scenery is spectacular, and the variety of rock formations and vivid coloration is a geologist's dream. 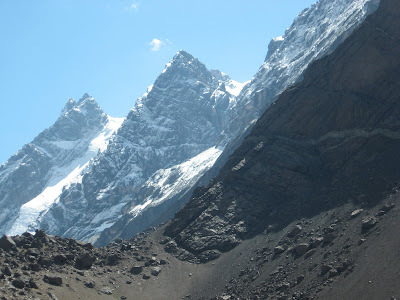 The snow capped, rugged mountains are in view much of the time. The Chilean – Argentine border is crossed by the Cristo Redentor tunnel, at an elevation of 9,800 feet. Completed in the early 80's, the tunnel is nearly two miles long. To reach the tunnel there are a total of 29 switchback curves (there goes San Francisco's Lombard street's claim to fame) with an elevation rise of 8,000 feet. Our entry into Argentina required an hours wait at the combined Chilean-Argentine customs station on the east side of Cristo Redentor Tunnel. Following the wait was a magnificent alpine lake reminding us of Lake Louise in Alberta's Canadian Rockies. 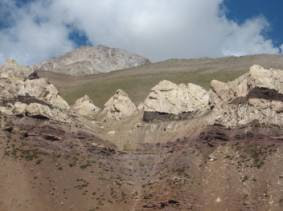 We saw Mendoza, an area world famous for its vineyards and wineries. The total bus trip from Santiago to Buenos Aires was just over 24 hours with considerable time consumed with slow commercial truck traffic, border crossings, and numerous inspection stations. 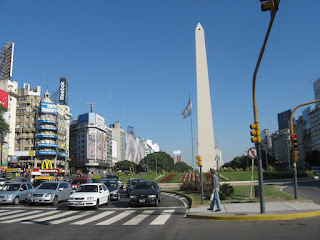 Buenos Aires is the 12th largest city in the world with a cosmopolitan population of over 13 million. It ranks # 4 for being the noisiest city in the world, and is famous for football, beef, soy, wine, and the tango! Amongst the miles of asphalt are giant gomero, palo borracho, and jacaranda trees. Avenida de neuva de Julio is reputed to be the widest street in the world (South America's Champs Elyse) boasting 16 traffic lanes in each direction with ample pedestrian and park boulevards, and marked with an oblisk. 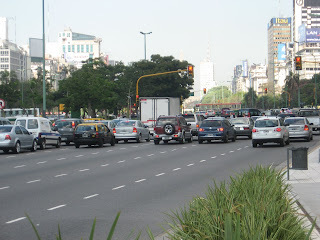 (note the high-rise buildings flank either edge of this street) Avenida Corrientes and Florida are two pedestrian friendly streets famous for restaurants, shopping, and nightlife. 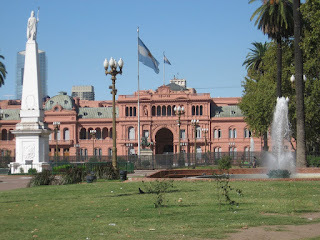 Plaza de Mayo the original main square of Buenos Aires features European architecture Casa Rosada (government equivalent to the White House) Cathedral, City Hall, & National Bank. Diego Maradona, a porteno widely hailed as one of the greatest football players of all time, coached the Argentine team last night in a World Cup qualifying game with Venezuela to a 4 – 0 win. Football is in the lifeblood of these South American nations. We stayed at Yira Yira , a quaint guesthouse centrally located and owned by Paz a lovely " porteno" lady (a native of Buenos Aires). Our second floor room had a large balcony, which was over a busy metropolitan street that never sleeps - conversation, music, buses, cars, sirens, and large city bustle droned us to sleep in the warm evenings. Buenos Aires means " good air " and each evening there is a cleansing ocean breeze that removes the smog and pollution to start each day anew. 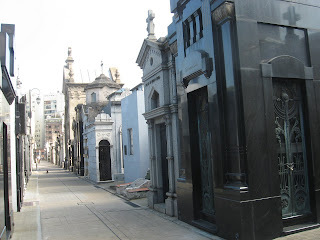 The world famous cementerio de la Recoleta designed in 1822 is the final resting place for hundreds of famous Argentine's in a maze of granite, marble, and bronze mausoleums. One of those bodies is world famous, Evita Peron, Argentina's first lady led a controversial life loved and hated. From illegitimacy and poor origins she rose to become a famous actor, government minister, and incredible aid supporting families in need. In 1952, being in her early thirties, she died of cancer. Her life was so controversial that it took over 20 years for Argentina as a country to even accept the burial of her body – she toured as much after death as she did during her life. Plaza San Martin was hosting the world tour of the United Buddy Bears – all 140 countries represented in the United Nations have a bear present except Canada! For more information visit www.buddy-bear.com. Apparently, our bear was broken two years ago and our government has chosen not to replace. Dismayed, and ashamed, with this international travesty we have written the Canadian Government to see if this situation cannot be rectified. Tango music was born in the suburbs of Buenos Aires, notably in the brothels of the poorer suburbs. Its sensual dance moves were not seen as respectable until adopted by the Parisian high society in the 1920s. Tango dancing consists of a variety of styles developed in different regions and eras in response to many cultural elements, venue crowding and clothing fashion. 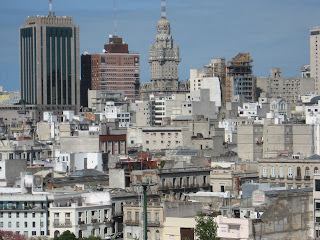 On to Montevideo, Uruguay (population - 3.5 million.) reported to be South America's most attractive capital city with a high standard of living and strong European influences is noted for leather and beef. It is built an a peninsula extending into the Atlantic Ocean. 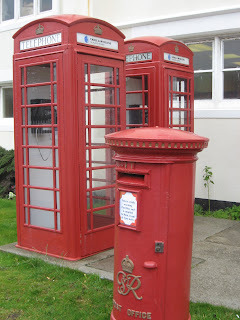 On a bleak and a dreary day we visited Port Stanley in the Falkland Islands. The people and their culture, homes, and monuments clearly exhibit British heritage. The Islands hold a strategic naval location in the Atlantic Ocean with a very controversial past. It once was an important deep-water port - a major repair stop for ships traveling the Straights of Magellan before the opening of the Panama Canal. The businesses there were so notorious for price-gouging that damaged ships were sometimes abandoned at Port Stanley. Then a coaling station for the Royal British Navy with ships being based here in both world wars. In 1982 Argentina occupied the islands for about 10 weeks during the Falklands War. Now primarily a growing base for whaling, fishing and tourism in the South Atlantic and Antarctic Oceans. The beaches and land around it were heavily mined and caution needs to be exercised, as many beaches remain active with dangerous minefields. The many penguins that inhabit the coastline are not of sufficient weight to trigger the mines. As we traveled south air temperatures have now dropped into the mid forties with plenty of snow on the surrounding mountains. Autumn and winter are approaching here in the southern hemisphere. Cape Horn is the southern most part of land associated with South America, at the southern end of the Tierra del Fuego archipelago. It marks the north edge of the Drake Passage, the strait between South America & the Antarctica and the confluence of the Atlantic, Antarctic and Pacific Oceans. Several factors combine to make sailing around Cape Horn one of the most hazardous routes in the world (they say) prevailing winds in latitudes below 40 degrees south blow from west to east around the world almost uninterrupted by land and funneled south by the Andes: icebergs and the narrow Drake Passage; and the area west of the Horn is notorious for rogue waves which can attain heights of up to 100 ft! The Chilean Navy maintains a station on Horn Island, consisting of a residence, utility building, chapel and lighthouse. A short distance from the main station is an albatross sculpture memorial. 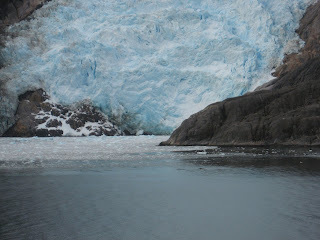 Antartica a large desolate land mass covered in ice continues to entice travelors exploraton and discovery. Our southern cruise around the harsh treeless terrain of Cape Horn in South America with visits to the penguin rookeries and Patagonian ports of Puerto Madryn - small non-descript Welsh village growing quickly and located in large wildlife sanctuary; Ushuaia – world's southern most city is a pretty port set against a backdrop of snow where remoteness promoted civilization centered around a prison for serious criminals. Puerto Arenas has a population of 130,000 of mixed nationalities, blended with history and public squares filled with Latin music. Many of the settlements here retain heritage roots from Europe as groups of settlers were enticed to settle the isolated areas by being given large tracks of free land. Chacabuco is a small isolated rural fishing village where the delicate sweet yet acrid smell of the smoke of an unknown wood used to heat their homes filled the crisp air. The cruise ship visitors easily outnumbered the permanent inhabitants of many of these smaller ports. 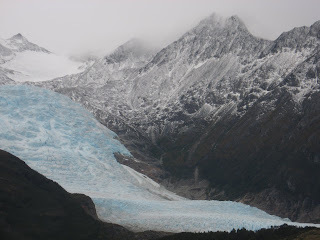 Beagle Channel, named after the ship which carried Charles Darwin through this region many years ago, is a narrow channel flanked by receding glaciers due to global warming. Puerto Montt a fast growing city of German heritage, whose economy is now based upon agriculture, forestry, fishing, and salmon aquaculture in the surrounding islands and fjords. And several kilometres west is the scenic fishing port of Angelmo lined with sidewalk cafes featuring freshly caught seafood, and local vegetable and craft markets. 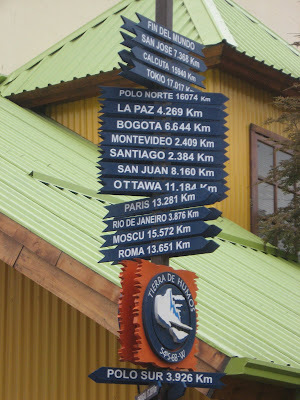 These communities settings are backdropped by snowcapped Osorno and Calbuco volcanoes. For most of us, born without the immense talents of a Da Vinci, Pablo Neruda, Millard Fuller or Beethoven, the true measure of our lives is not what we achieve – and certainly not what we accumulate – but rather who we are, the number of people we touch, and what we are remembered for, or what is grieved in our absence. Millard Fuller, the founder of Habitat for Humanity, recently passed away with a legacy of having provided more than 300,000 families with housing. Treasure each day as a new adventure in your precious life, avoiding mindlessly moving with the hustling crowd.